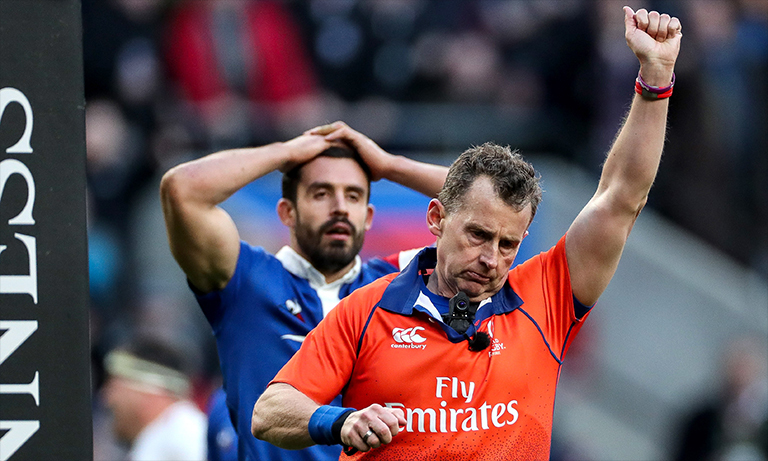 Nigel Owens says isn’t too concerned about the concerns that have arisen in terms of the offside line in rugby, with the Welsh referee confident he and his colleagues will “deal” with it accordingly. A number of ex-pros, pundits and fans have complained about referees not policing the offside line as strict as they should. But Owens is confident referees can get it under control just like they have with the issues that once plagued the game regarding contact in the air. “Well, if the players stayed on side we wouldn’t have to worry about it – would we!” Owens joked. “Every game is different and the laws are there for a specific reason – and to allow a game of rugby. It’s up to us as referees to make sure we apply those laws.